Hello, summer! We can hardly contain our excitement—there are so many fun ways to enjoy the longer days and extra sunshine we get during these warm-weather months. 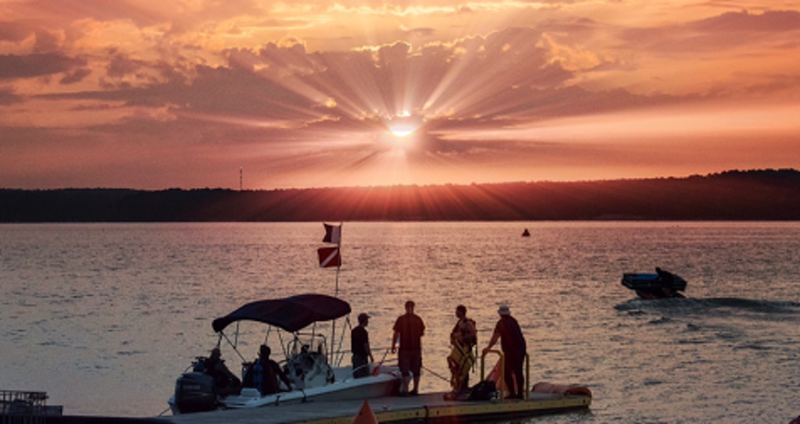 Throw in some gorgeous sunrises and sunsets, Independence Day celebrations plus a few extra vacation days. And there&apos;s no better time than now to get outside, be active, take in a ballgame or a soccer match and discover new experiences in the City of Oaks. Of course, July means Independence Day is upon us, and that means fireworks! We&apos;ve got a rundown of more than 10 events you&apos;ll want to know about across the Raleigh area, but a couple we&apos;ll tell you about here. The Town of Cary&apos;s July 4th Celebration (7/4), said to be the biggest and best Independence Day party the town has ever thrown, brings in fun for the whole family. Rides and games, a venue-wide scavenger hunt, watermelon-eating contests and even a 50-foot Ferris wheel will highlight the all-day, free-admission affair. You&apos;ll want to pack blankets and coolers so you can enjoy patriotic favorites and high-spirited classics performed by the North Carolina Symphony before the fireworks are set off once the sun goes down. Over in downtown Raleigh you can experience The ‘Works! (7/4). 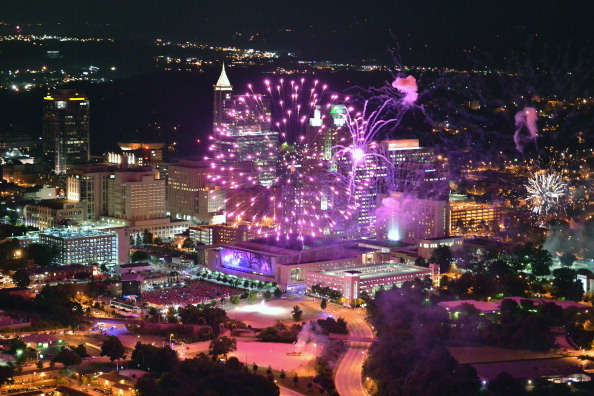 This massive Fourth of July celebration kicks off at noon with live music, hot dog-eating contests, a BMX stunt show and more until the fireworks grand finale blast off at 9:30pm from two locations—you&apos;ll want to be at Red Hat Amphitheater or on Fayetteville St. for the best view. More than 15 performers are scheduled across three stages spanning more than a quarter-mile in the city center—you won&apos;t want to miss out! We&apos;d be remiss if we didn&apos;t send you out to the ballpark this month—what screams summer more than America&apos;s favorite pastime? The Carolina Mudcats have a full schedule of fun in July with five home series on the calendar at Five County Stadium in Zebulon. They&apos;ll also celebrate America&apos;s independence with their Mudcats for America Series (7/3-4), where the team will don special patriotic jerseys and a fireworks extravaganza will follow the games. If you can&apos;t make it to the ballpark during July 4th weekend, no worries—the Mudcats have fireworks after every Fri. home game during the season (which means in July you can also catch them 7/14, 7/21 and 7/28!). Want to make a full day out of it? Read up on how to explore Zebulon before a Mudcats game. 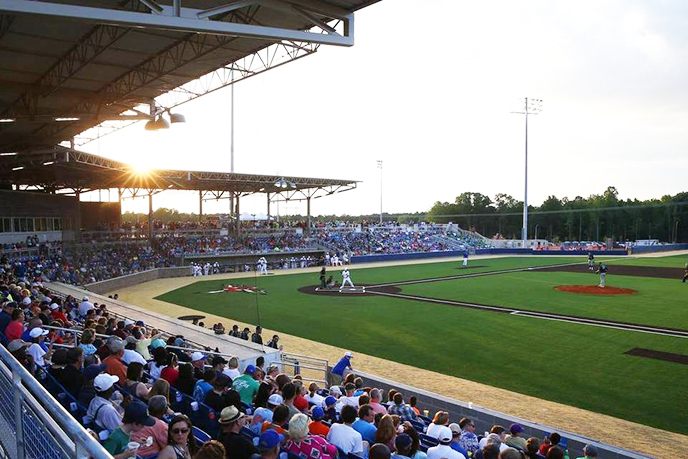 Over in Holly Springs, the town gears up for a first—the Coastal Plain League, a summer league for college baseball players, will host their 19th annual All-Star Weekend (7/9-10) in Holly Springs for the very first time at North Main Athletic Complex. A Fan Fest, Home Run Derby and the All-Star Game highlight two days of action and family fun. Elsewhere on the diamond, the USA Baseball Collegiate National Team prepares for a trio of showdowns against Cuba (7/2 and 7/6-7) as part of the Friendship Series. Admission is just $10 at the USA Baseball National Training Complex in Cary, and fireworks will follow the games on 7/2 and 7/7. Also in Cary, a big month is lined up for North Carolina FC. The North American Soccer League (NASL) team will play four games at home in July, kicking off with a July 4th matchup (with post-match fireworks) against Miami FC on Heroes Appreciation Night (current and former military and first responders get free admission). Later in the month, they&apos;ll host the English Premier League&apos;s Swansea City AFC (7/22) in a highly-anticipated, marquee exhibition match—get your tickets ASAP! You can view the full North Carolina FC home schedule here. The North Carolina Museum of Art is ready to unevil an exciting expansion. Open at the end of June, a new, free-to-visit African Art Gallery—three times larger than the previous gallery—features African creativity spanning 16 centuries and displays 125 total works of art on view, including some of which haven&apos;t been on display in a decade. The 6,500-square-foot gallery will have a masquerade area, a contemporary art section and a wall highlighting N.C. collections. Be sure to check it out! 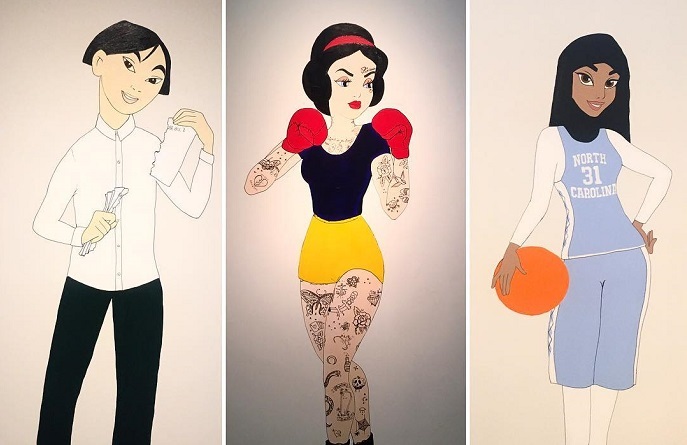 At downtown Raleigh&apos;s CAM Raleigh—the state&apos;s only non-collecting contemporary art museum—artist Dorian Lynde&apos;s No Damsel (on view through 8/13) features a series of murals and paintings with reimagined Disney princesses. Snow White as a tattooed boxer, Ariel as an animal rights activist in a wheelchair, Jasmine wearing a hijab head cover and basketball jersey, plus others—No Damsel is about breaking down stereotypes and inspiring young women. In addition to the works at CAM Raleigh, pop-up illustrations can be found on walls and facades in and around downtown Raleigh. Up for an outdoor movie? We counted 54 chances to catch a movie under the stars this summer! Check out The Sandlot (7/6), Moana (7/13), Rogue One: A Star Wars Story (7/15), La La Land (7/20), Cinderella (7/27) and more flicks this July. A summer of wall-to-wall music is lined up! July brings in Sturgill Simpson (7/8), My Morning Jacket (7/9), Dierks Bentley (7/14), Idina Menzel (7/19), Florida Georgia Line (7/21), Logic (7/27), Belle & Sebastian with Andrew Bird (7/31) and more. See the full schedule on themostnc.com. Pop culture, comics, science fiction, video games and more will pack the Raleigh Convention Center during Raleigh Supercon (7/14-16). Need to escape the heat for a bit in between activities? Cool off with any of these eight sweet treats (including a frozen hot chocolate in downtown Raleigh that we consider a summer essential). Catch comedian George Lopez when he performs two must-see sets at the legendary Goodnight&apos;s Comedy Club (7/25). Beer sipping, bourbon tasting, music listening and barbecue eating—what&apos;s not to love? Don&apos;t miss the two-day Beer, Bourbon and BBQ Festival at Cary&apos;s Koka Booth Amphitheatre (7/28-29). Check out the 12th annual N.C. Japan Summer Festival, which brings traditional foods, culture and fun to the North Carolina State Fairgrounds (7/29). Get an up-close, educational tour of Historic Yates Mill—from the water! You&apos;ll learn basic canoe skills before setting out to explore during Paddle the Pond (7/29). Itching to get out on the water this summer? Check out our guide to kayaking, stand-up paddleboarding, canoeing and more in Raleigh, N.C. (including easy rental options! ).